Hello! It's officially STAMPtember®. 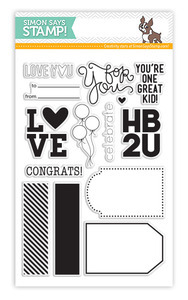 Which means only one thing... LOADS OF NEW GOODIES at Simon Says Stamp. 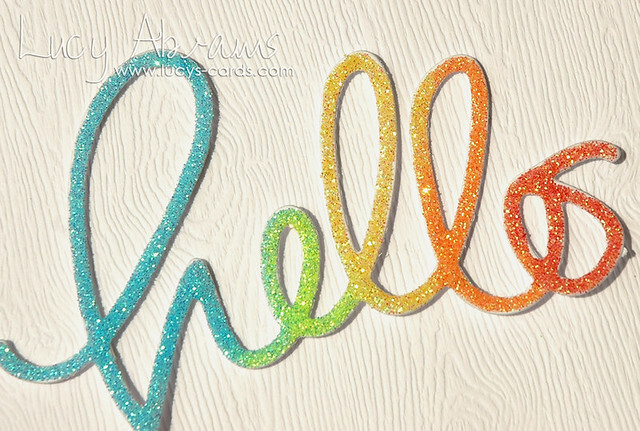 And to welcome its arrival, I have made a glitzy card featuring one my favourite dies of the new release... Big Hello. Such a simple card - I simply die cut the word from cardstock, added a ton of Glossy Accents, sprinkled with THIS glitter and popped onto some Woodgrain Cardstock. Easy. And fun. (And a bit messy!!). 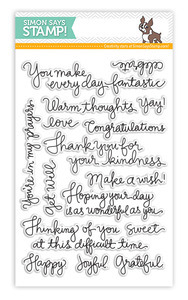 There's going to be an awesome STAMPtember® blog hop on 4th September, so be sure to check back then for more cards made with the products from this amazing release. 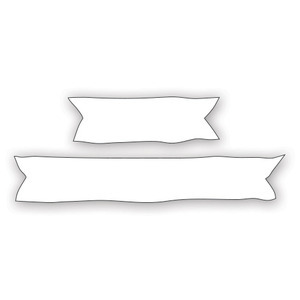 The Tiny Tag stamp set is going to be so versatile. Love those tiny balloons. 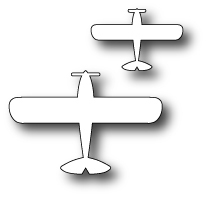 These adorable Small Planes dies have already been well used... more to come soon. More of Kristina's lovely Handwritten Greetings... Yay. I've already got projects in the works made with these fab Sketchy Banners dies. 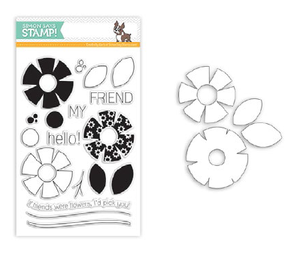 And I can't wait to play with this mix and match Whimsical Flowers stamp and die set. Wow! Your big hello sure makes a fabulous impact, Lucy - LOVE IT!!! Love all the glitter and the gradient colours. This die cut really makes a big statement, Lucy! Love the glitter. fantastic card! love the sparkles in different colors. Lucy, what a brilliant card, so eye catching. Love the simplicity and the colours. 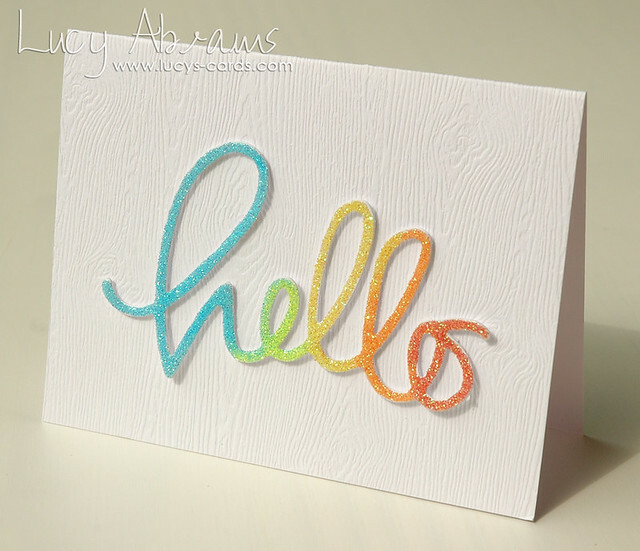 Lucy, this sparkly hello card is absolutely STUNNING!!! LOVE it!!! simply fabulous! love love this, Lucy!! LOVE this card! So easy yet bold!